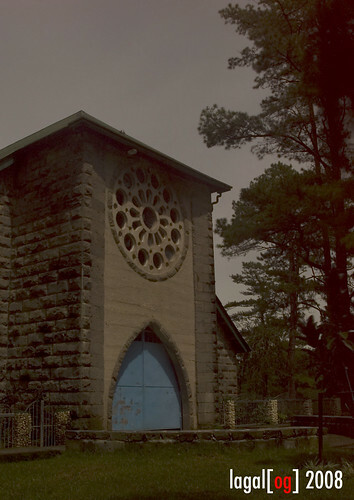 This isn't a post about the mysterious goings-on that's been talked about in a not so hush-hush manner.R ather, it's about looking at Sagada in a different perspective, in the fading light. The iconic, over a century-old St. Mary's Episcopal Church looks different in moonlit conditions, no less imposing but a bit eerie. Considering it leads to the town's modern-day cemetery and much farther, the Echo Valley Hanging Coffins, we can't help but think eerie thoughts as we feel the chill of the occasional breeze and hear the wind sighing as it blows through the limestone cliffs and rustling the pines as the moon plays a game of hide and seek with the clouds brought about by a passing storm. 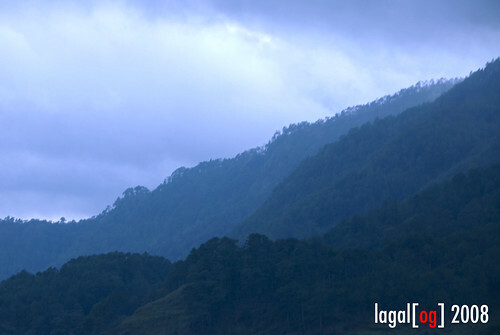 Earlier, in the fading light, even the blue hues seem to be amplified by the fog that hangs above the fringes of the trees and the edges of mountains, Polis and Ampacao. the mists hung in the air unseen but very much felt on the skin, filling the air, wetting the soil, and drenching the evening's mood with the inclination to just sit back, eat, have a warm mug of coffee, or simply stare at the landscape, increasingly seeing a lot of nothing in the gathering darkness but feeling everything -- the breeze, the gathering quiet -- in the escalating cold. THAT WAS FREAKING BRILLIANT! and i had to agree. the church with that kind of lighting sure looks so scary, and creepy. it's really good to see places like this from your camera. i've never been to sagada yet but i've been reading a lot about it and been seeing it in many magazines. but you captured this church differently here. a mood that also describes its location near the cemetery. fading light na ba yang sa st.mary's or bulb mode?